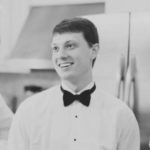 As developers, we have many tools at our disposal to help catch problems in our code (and protect our sanity); for example, IDE features such as IntelliSense find errors as we type, a debugger gives us a window into the app when it’s running, and a profiler, in turn, shows us how our app is using resources and where it could be more effective. The Xamarin Profiler is currently the only way to profile managed (C#) code and find memory and performance issues in Xamarin applications. It can also be paired with native profilers, like Xcode Instruments and Android Monitor, to ensure better app behavior and performance. 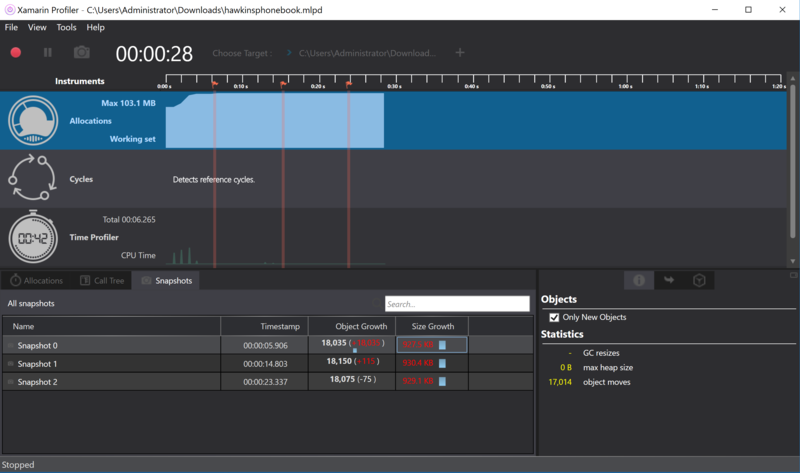 Last week at Microsoft Connect(); we announced the first stable release of the Xamarin Profiler, available today from the Xamarin download page as part of the full Xamarin installation for MSDN Enterprise subscribers or download the standalone installer here. We have designed beautiful, native Profiler apps for both Mac and Windows to help collect and interpret profiling data. To start a profiling session, launch an application on device or simulator with the Xamarin Profiler attached. In Visual Studio, open your Xamarin project and choose Analyze > Xamarin Profiler to begin the session. In Xamarin Studio and Visual Studio for Mac, choose Run > Start Profiling. Xamarin Profiler sessions can also be saved in the mlpd format (Mono Log Profiler Data). Double-clicking on an mlpd file will open it in the Xamarin Profiler. These files can be moved between Windows and Mac. When Xamarin Profiler launches, it will ask you to select an instrument or group of instruments to gather data about your app. Each instrument gathers certain information about an application to help diagnose different types of problems. 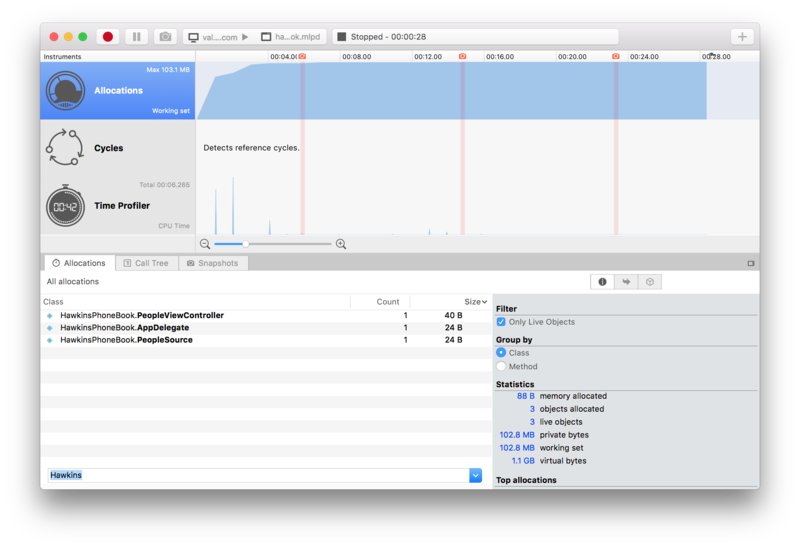 The Xamarin Profiler comes with three instruments: Allocations, Time Profiler, and Cycles. Let’s dive into each one to learn how it can help us build better apps. The Time Profiler uses sampling to determine where our app is spending the most time. 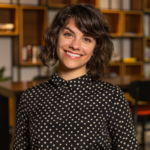 Sampling is a lightweight performance profiling method that polls the application at regular intervals to determine what code is being executed and then forms a hypothesis for how long different parts of our program take to execute. 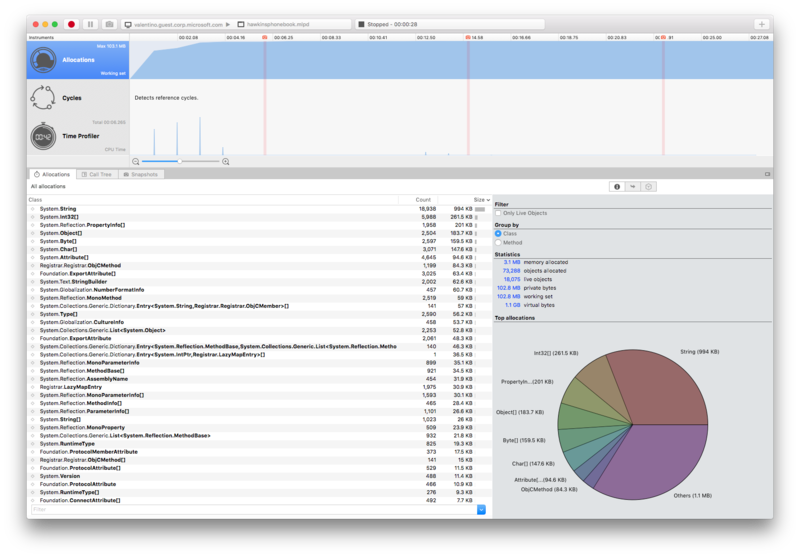 Inside the Xamarin Profiler, the call tree in the first tab is the same call tree as the Allocations tab, but instead of breaking down memory usage by method, it shows how much time was spent in each method. The Cycles instrument gives a written and visual representation of circular references between objects, making it particularly useful for detecting native reference cycles, or circular references between objects that cross the boundary between the native and managed world. These types of cycles are important, because they prevent the objects involved from being picked up by the garbage collector. For more information on Cycles, refer to our simple example app for native reference cycles, and James Clancey’s Guide to Cross-Platform Performance with Xamarin, which provides details on how cycles form and how to fix them. 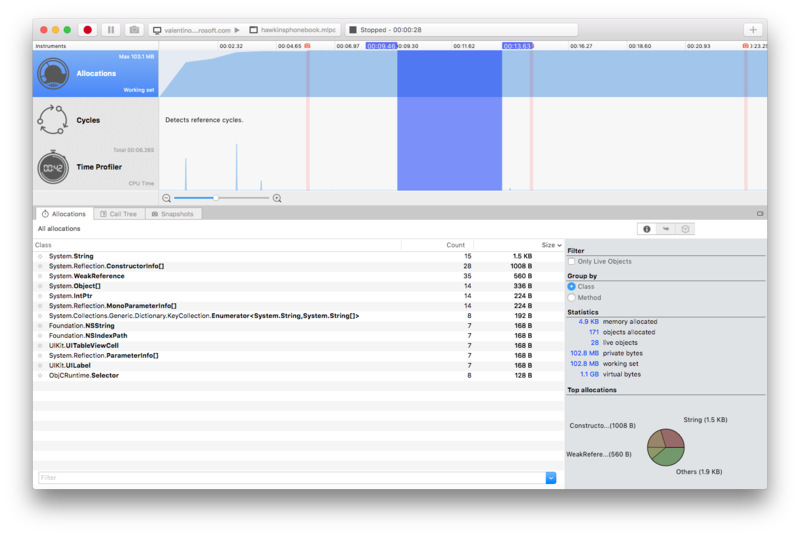 Introduction to the Xamarin Profiler: documentation from our developer portal. iOS architecture: under the hood guide for how Xamarin.iOS works. Android architecture: under the hood guide to how Xamarin.Android works. 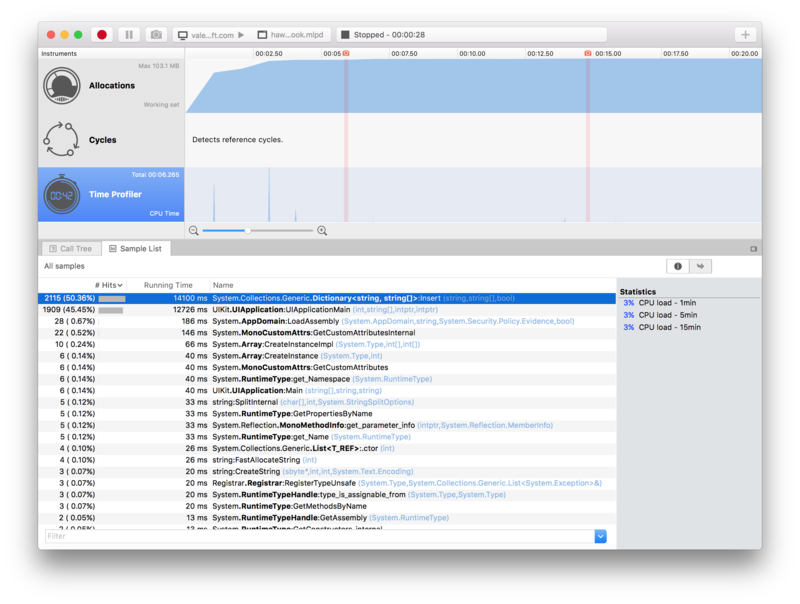 Xcode Instruments user guide: introduction to native iOS profiling with Instruments. Android Monitor overview: introduction to native Android profiling with Android Monitor. 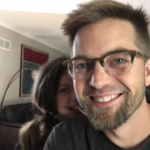 Xamarin.iOS, the garbage collector, and me: blog post with excellent explanation of iOS native reference cycles. 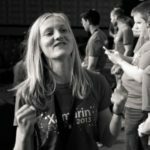 Xamarin Bug Tracker: a direct link to report issues with the Profiler.